For Meteo-PWS and Domotics the communication usually applies the frequency bands 433MHz, 868MHz and WiFi (=2.4GHz/5.0GHz). Usually the communication is in a star-network-configuration, with the peripheral devices communicating towards 1 base-station. Especially for Meteo-Setups the infrastructure usually is private: application of 'external' elements is specific exception, such as for reading/feeding external databases and websites. That communication may be with high speed & high data volume, but it is not long range (<100m). - If multiple users apply a frequency band, in addition collisions occur, which result in reduced communication => los of communication & low(er) data rate. 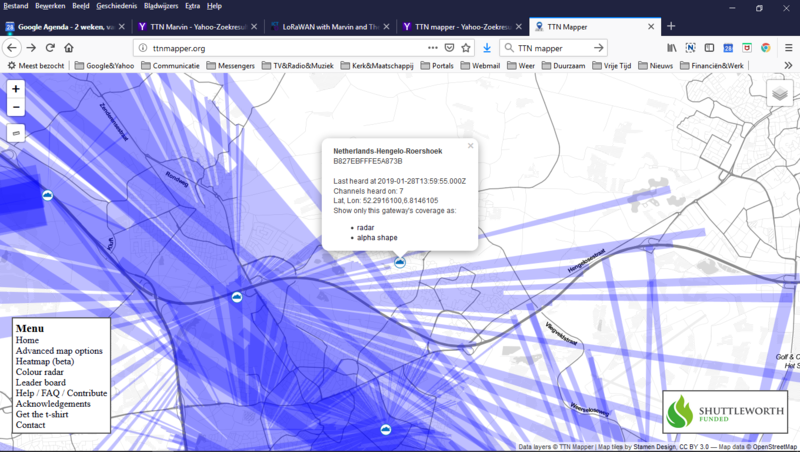 The alternative LongRange(WAN)-communication also applies 868MHZ as frequencyband, but with different technics & organisation, offering much longer range (km's), be it at the cost of data rate & data-volume. 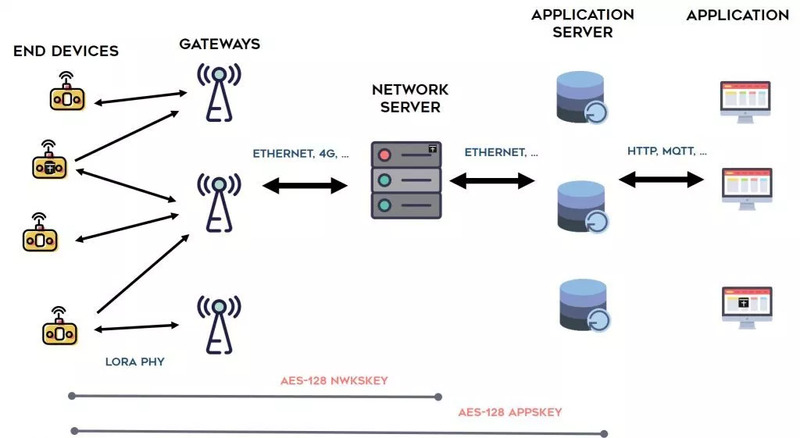 - communication between EndDevices and the LoRa-Network is automatically established related to detected Gateways. 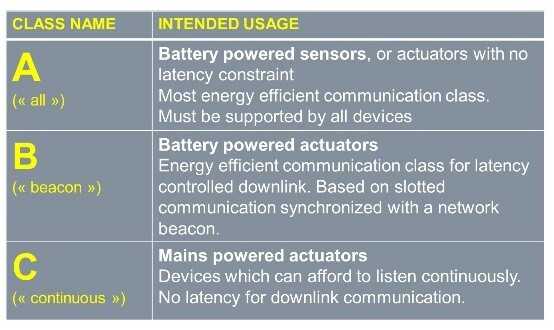 For LoRa-Communication the longer lines of communication generally are not a problem, but for use of the 'external' elements you need to join one of the available LoRa-Networks. Joining is not trivial, because still 'rather experimental', hence more suited for 'experts/enthousiasts'. 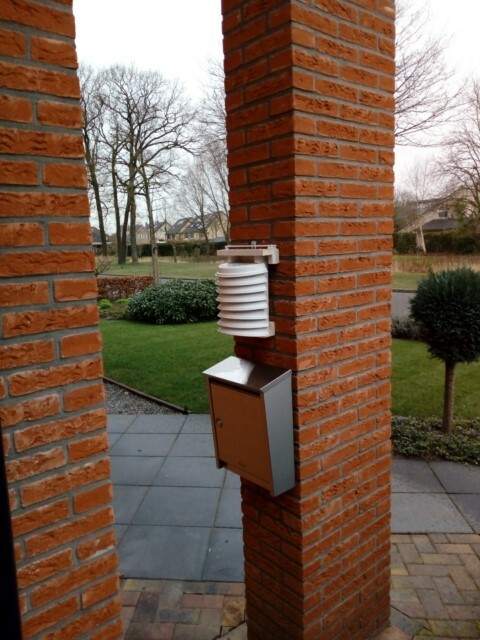 KPN offers a 'business', almost nationally covering LoRa-network, also over our postal location NL7559KW. 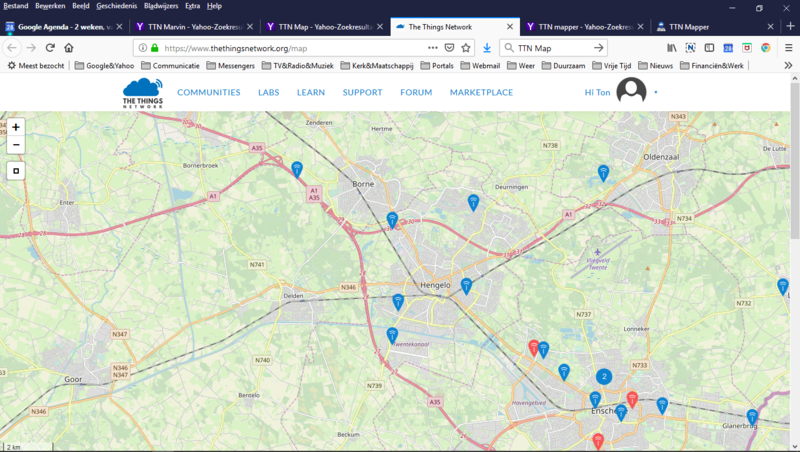 TTN for setup and operation depends on de Gateways and Servers made available and maintained by volunteers and sponsors. The 3 pictures below show on a map, without respectively with coverage-diagrams, the TTN-Gateways which are available to me. The nearest Gateway north of my location apparently is no longer active, and the nearest Gateway in direction ESE needs to be tested. => not yet a direct 'air'-connection to TTN visible for our location. an own Gateway required for TTN-interface over internet? As initiation for my LoRa-experience purchased a Marvin IoT-Developmentboard with related Developer-subscription at KPN. This is an ESP-board with an integrated 868MHz-communicationboard, and with 5 Grove-connectors for a quick∼ple connection of sensors. 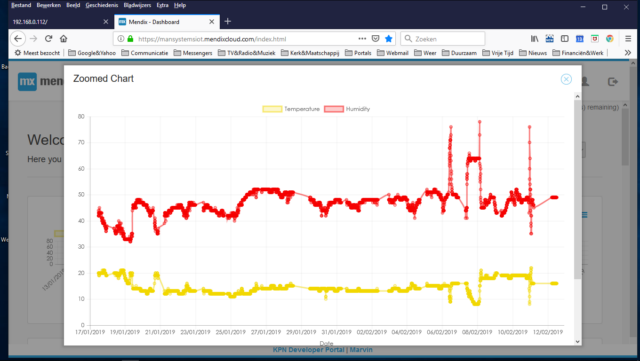 The 6-month subscription to the KPN-Network and a temporary Endpoint_URL-with-Dashboard should allow for some experimentation to get acquinted to LoRa-Setup & -functions. the edge-connector is foreseen for direct connection to a Powerbank. 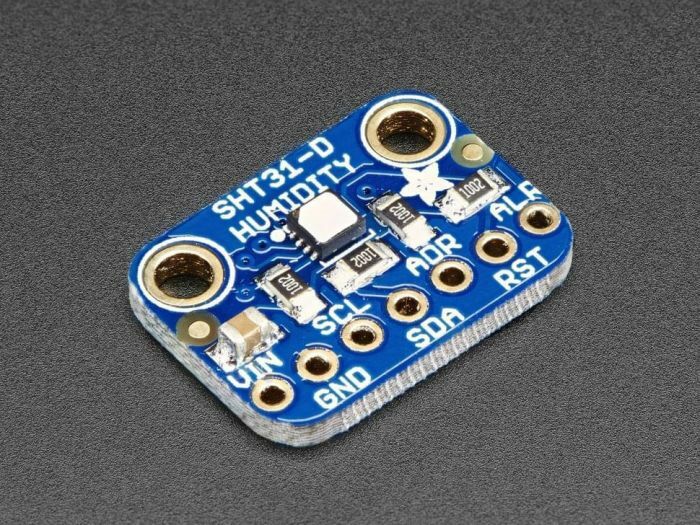 My intended application is as Class_A Device for a 'remote meteo-sensor' with power supply from battery and/or solar cell. As first functional configuration a T/H-sensor has been fitted of type SHT31D. The 'provisional' power supply is by an USB-Powerpack of 2600mAh. 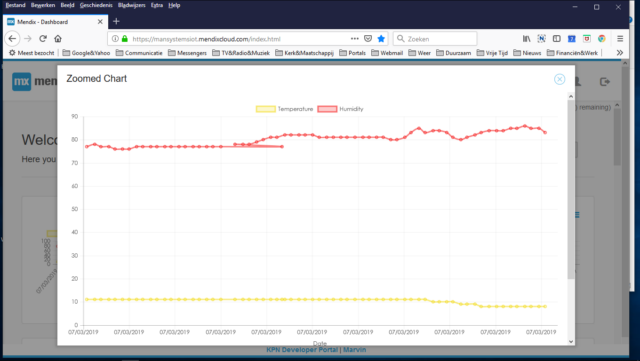 at the Endpoint-URL a report should appear showing measured temperature and humidity from the sensor SHT31D. however (by indication SF12) visible that 'some effort' is required. no connection with the KPN-network. during which the 'Marvin-box' continuously had connection, as can be seen in the diagram. derived from meteohuts, consisting of a stack of halved plastic dishes, to keep away sun and rain from the 'Marvin-box'. with display of max. 6 measurements/hour for Temp&Hum (with variable intervals). Alternative & further Uplink for other applications is in infancy-phase. Copyright © 2013-2019 T4S, considering the section related to liabilities, rights etc.